On Wednesday, Microsoft held a massive press event at its Redmond, Washington headquarters to unveil new details about the coming Windows 10, an operating system so different from the current Windows 8.1 that the company felt the need to skip Windows 9 entirely. Neat new features for gamers, Windows Phone owners, and those looking to dabble in virtual reality are on the way. But the coolest newly announced feature is the fact that this new operating system likely won’t cost you a dime. That’s right: Windows 10 will be available as a free upgrade for all owners of a Windows 7, Windows 8 or Windows 8.1 device who upgrade in the first year after launch. For Microsoft, offering Windows for free represents a dramatic shift in its operating strategy. Operating system updates have long been a pricey affair with the company, typically costing $100 or more. Now, Microsoft is offering Windows as a constantly evolving service, with new features being added as they’re ready at no extra cost – essentially, taking on the Apple/Android model. So what exactly is new in Windows 10? Besides an easier-to-use Windows 7/Windows 8 hybrid look, Windows 10 will feature Cortana, Microsoft’s Siri-like personal digital assistant that operates via voice commands. There’s a brand new resource-friendly browser called Project Spartan (goodbye, outdated Internet Explorer! ), a new Action Center with simple on-off toggles for Wi-Fi and notifications and the return of the Start menu. Xbox One gamers get a nice new feature too: You can stream its games directly to any Windows 10 PC or tablet on the same Wi-Fi network. 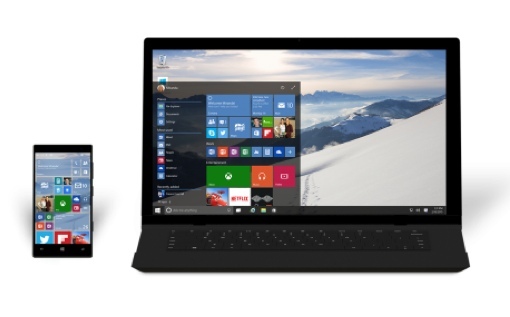 Windows 10 is expected for wide commercial release sometime later in 2015. To learn more about the new operating system, visit the official Windows blog. Can’t wait until the official release? Those with advanced computer experience can preview the new operating system and its cool new features right now by joining the Windows Insider Program and installing the Windows 10 Technical Preview. To learn more about the preview, visit insider.windows.com.